Are you trying to decide if you should invest in replacement windows and doors for your home in St. Peters, MO? It is a big decision to move forward with home improvement projects. However, attentive homeowners are always glad they took action to improve the quality of their property. If you are thinking about upgrading the doors and windows in your home, the best thing that you can do is talk to our team here at here at Masonry & Glass Systems Inc. We offer all of the products and services you need! It is essential to maintain the security of your home in a proactive manner. Securing the entry points will decrease the likelihood that you will have to deal with unwanted entry and theft. Some burglars target older homes with outdated windows and doors because they provide easy access to the property. Modern windows are built with the latest technology that will protect your family. You can invest in replacement windows and doors to rest easier at night when you know your family and belongings are safe. How often do you hear neighborhood noises, such as dogs barking, noisy kids, or cars driving on the street? These sounds can have a negative impact on the comfort of your home. 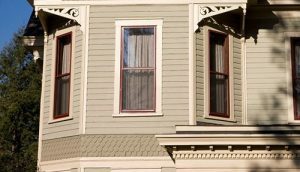 Instead of suffering through the commotion, consider the benefits of upgrading your windows and doors. High-quality glass will keep your home insulated, blocking out the sounds that are happening outside. At the same time, you can improve the privacy of your home by preventing the neighbors from hearing your TV surround sound system or other sounds from within your home. When you are getting ready to move, it is important for you to consider the equity that can be rolled into your next property. The value of your home needs to be maximized so you can use that equity to buy another home for your family. If you live in an old, outdated home, it is a good idea to spend some money upgrading the quality and condition of your property. These improvements can go a long way and help you maximize your home’s value. Does your home have modern style and amenities, or is it outdated? Appearances are important because they impact the first impressions of people who come to visit. New windows can revitalize the appearance of your home. As a result, you will be proud to invite people over. Choose a modern style of replacement windows that will look good with the other features of your home. Consider using colors and designs that offer an attractive, yet timeless, style for your property. By choosing the right window contractor, you can save money on the initial installation. The investment can help you save money for many years as well. High-quality windows seal the entry points of your home, helping to boost energy efficiency. As a result, you will benefit from the decreased utility costs. There is no reason for you to spend a lot of money on utilities! You can make a few energy-efficient upgrades to your home and reduce monthly expenses while you maximize your energy usage. Another benefit of energy efficient replacement windows is that you can reduce your carbon footprint. The decisions you make each day have a direct impact on the pollution that can cause damage to our beautiful earth. Each homeowner needs to do their part to reduce their energy usage. Energy efficient upgrades will make you part of the solution instead of being part of the problem. Now that you see the benefits available from replacement windows and doors, are you interested in more information? If you live in St. Peters, MO or the surrounding areas, you are invited to call us and schedule a complimentary in-home consultation. One of our team members will come to inspect your windows and have a conversation with you about the options. We want to help you choose the right products for your home. At the same time, we can learn more about your design and style preferences. By considering both function and style, we will help you create the home of your dreams. Learn more by talking to our team at Masonry & Glass Systems Inc. You can stop by our showroom located at 1503 S Kingshighway Blvd St. Louis, MO 63110. Call anytime to schedule an appointment for your free in-home estimate at (314) 535-6515. We are always here to answer your questions and help with anything you need!